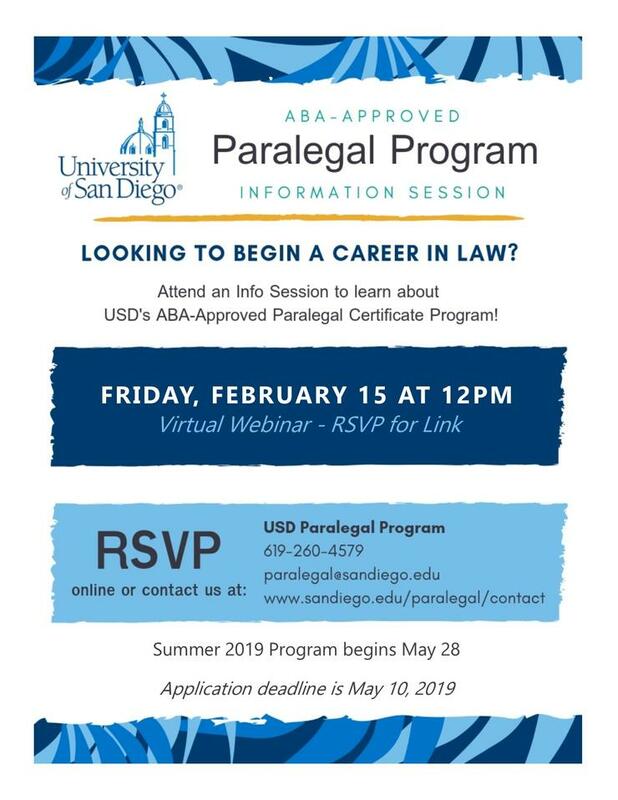 USD Paralegal Program Virtual Info Session – Free! Friday, February 15, 2019 from 12:00 p.m. to 1:00 p.m. If you are thinking about starting a career in law, attend a virtual info session with our dedicated Paralegal Program staff to learn more about the profession and our ABA-approved certificate – all from the convenience of your mobile device!